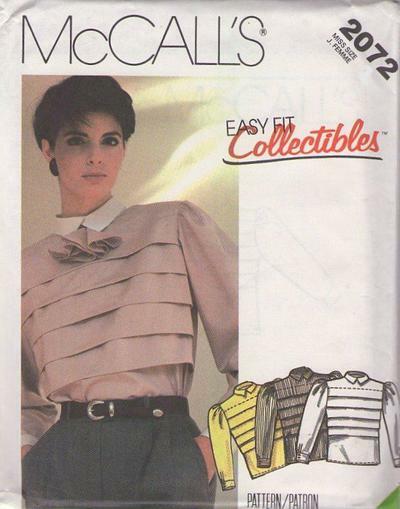 1985, 80s Career, Retro Modest Clothing Patterns - MISSES' BLOUSE AND TIE: Blouse, with buttoned back opening, has shoulder pads, front tucks, two-piece collar with neckband and jabot tie with VELCRO back closure; long sleeves with gathered cap are pleated to buttoned cuffs. Collar and cuffs may be of contrast or self-fabric. NOTE: This pattern features shoulder and back adjustments.